JSV: 00:00:36.398 Hi Rik. I'm glad to be here. RVB: 00:00:39.341 Thank you for joining me. That's great. And I know that you work for GraphAware, which is one of our great partners worldwide these days, right? But you and I got talking in the Twitterverse†and online about your amazing work around†graph technology landscape, right? JSV: 00:01:00.575 Yes, that's right. I published this tweet or this blog post two weeks ago and I went on a holiday and [laughter] the Twitter and the notification completely are blowing up, so. RVB: 00:01:18.443 That's fantastic. That's great. Yeah. Yeah. Well, it was a really interesting piece of work, but maybe you can tell us a little bit about yourself first and then we'll dig into that a little bit later. Who are you and what do you do, János? RVB: 00:03:55.342 And the rest is history, right [laughter]? JSV: 00:03:57.614 Yeah. That was the start. RVB: 00:03:59.685 Yeah. Okay. Very good. And then this was when you were back in Budapest, but now how did you get into GraphAware? How did you guys-- because you're now in the UAE, right? How did that happen? JSV: 00:04:12.670 So, yeah, long story short-- so after I knew Neo4j, I went to a conference in Budapest. I think it was the Craft Conference where Ian Robinson had a talk about Neo4j. So it was a good trigger as well. So I realised that there is a good community behind this Neo4j, so I wanted to be a part of it. So I started to read the different forums and all these kind of things, and I created a†Neo4j Budapest meetup group. So I started to organise meetups. So it was very popular there, and after that, I visited some GraphConnect Conference in London. So it was amazing, again. And after that, I realised that the market of graph databases for Neo4j in Hungary is not so major. So if I want to work with Neo4j, then I have to change. So I wanted to go to the main stage of Neo4j. So after that, I joined GraphAware two years ago. So since that, this is my daily job, to work with Neo4j. RVB: 00:06:03.383 Fantastic. 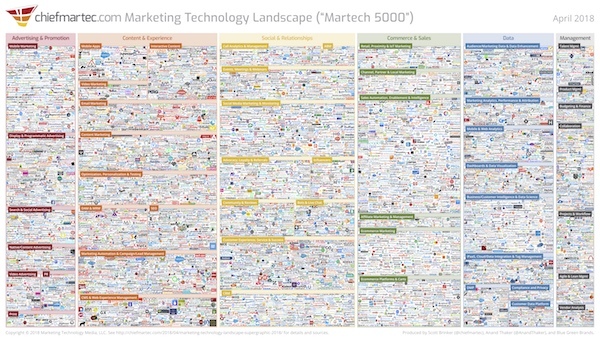 And is that when you started tracking this graph technology landscape that you created as well? JSV: 00:06:11.172 Yeah. When I decided to change my job, I had two things in my mind. One was to join a graphic company. There was not so much in this time. And the other was to start some kind of consultancy as a freelancer, but to start this, you have to know the market. So I started to do market research and collected all the graphic companies into a spreadsheet. So [laughter] that was the start of this blog post three years ago. And sometimes I put it into the drawer, and when I have time, I pull it out and work a bit on it. And finally, last December, we were looking for blog post for January in GraphAware, so I volunteered to publish my research in the format. I always wanted to publish this landscape. So finally I had a deadline to finish my research [laughter]. And on the last day of January-- actually, it was first day of February. As you know, sometimes you have soft deadlines [laughter]. So 1st of February, yeah, I published the blog post, so. RVB: 00:08:03.159 Yeah, I saw it. I mean, it was really well received, right? I mean, it can sometimes be quite difficult to have a good view of what are all the different things that play into this landscape, into this technology space. And I really liked it a lot, and I think you saw that I spent some time converting it into a Neo4j graph as well, right [laughter]? RVB: 00:08:34.000 It's great actually to explore it. I like†it a lot. JSV: 00:08:38.992 Yeah. And my plan was to print it and hang it on the wall. The original version, this Big Data Landscape, it was in my previous office and we spent a lot of time to discover. So this is the treasure map for an IT guy to find out new technologies and new products. So that was my plan. So yeah, I was thinking about to make it as a graph, but it's hard to hang on the wall, a graph [laughter]. RVB: 00:09:20.978 Well, anyway, I hope I've helped you a little bit and [laughter] maybe we can print it out on a T-shirt or something [laughter]. RVB: 00:09:30.530 Exactly. So János, maybe I can ask you something else. I always ask the same thing to the different people on the podcast. What is it that attracts you so much to the graph landscape? Why do you think it's so powerful, and why did you put so much time in creating this massive landscape? What is it that stimulates you to do that? JSV: 00:09:59.993 So recently or a few years back when I had talks at conferences, the Big Data Landscape was always my first slide because I had to explain to the people why graph databases are so important, and they [inaudible] big landscape, so. And earlier, we experienced so complex†problems at the storage level and the analytical†level where we needed a new concept to discover the data. So that's why I was a big fan of this solution because this is really for the complex problems, where you have to discover the relationships between the†different data points. So it was very cool. And I was a big fan of Albert-László Barabási. He wrote several books. He's a network scientist, but he's from the academic world and not from the IT world. So I read his books and I realised that there is something similar in the IT as well. So it was my perfect fit to start dealing with graph databases. RVB: 00:11:53.003 That's great. Yeah. Absolutely. And then is it something specific about these graph databases that you really like? Is there any killer feature that jumps out for you, or is it more like a general perspective that's attracting you? JSV: 00:12:10.540 So one thing I already mentioned is the community. So the community is just amazing around this Neo4j graph database. So it was a good trigger to get into it. And speaking about the technology itself, I think it was super easy to learn and get results in a short time. So for problems we spent weeks or months to get sorted, we could get solution in one week, so. And that's the case when you use the right tool for the right problem. So I think for the complex problems it is a good fit, and it's more challenging to solve complex problems than simple problems, so [crosstalk]. RVB: 00:13:26.805 Don't tell me you're one of those people that likes complexity, right? RVB: 00:13:33.202 Excellent. Well, maybe one more question, if you don't mind. And it's always interesting to get people's perspective on this. Where do you see this going? What does the future hold, both for you as a person or GraphAware but also maybe for the landscape? Where do you want to take this? Can you tell us a little about what's in your crystal ball? RVB: 00:15:08.144 That's crazy. Yeah. JSV: 00:15:32.840 --that's a lot of effort. So I wanted to do this as a community effort to collect all the things and make the modifications and all kind of things. I think some things started not the way I wanted, but we can improve that, or we can go the way which is more meaningful, so. So my expectation is that we will have more players in this market. 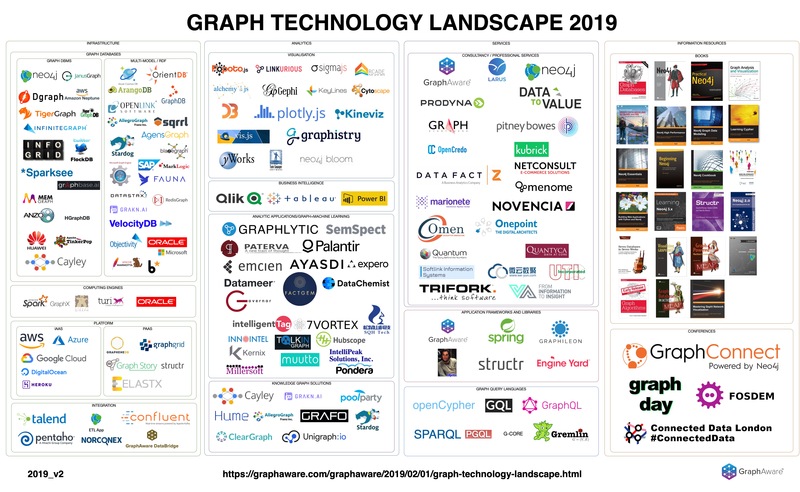 And for the graph databases, I think we will have a lot of new areas about machine learning and AI because recently this is the hot topic for the graph databases. And I think this way I should update the graph landscape very often in the future. RVB: 00:16:39.755 Very good. All right. And that's a great perspective. I really appreciate that. And I'm sure there's so many other things that we can talk about, but we'll put some links to those topics in the transcription of our podcast. And as you know, I try to keep these conversations a little bit shorter because otherwise I have to do too much work producing it [laughter]. So I'm going to wrap up by thanking you so much for coming online and doing this recording with me, János. It's been a pleasure talking to you. And yeah, as you said, I'm sure we'll put some interesting links on the transcription and we'll probably meet at some Neo4j event sometime, right? JSV: 00:17:27.965 Yeah, let's do this. So thank you as well. It was a pleasure to be here. RVB: 00:17:34.572 Fantastic. Talk to you soon. Bye-bye.